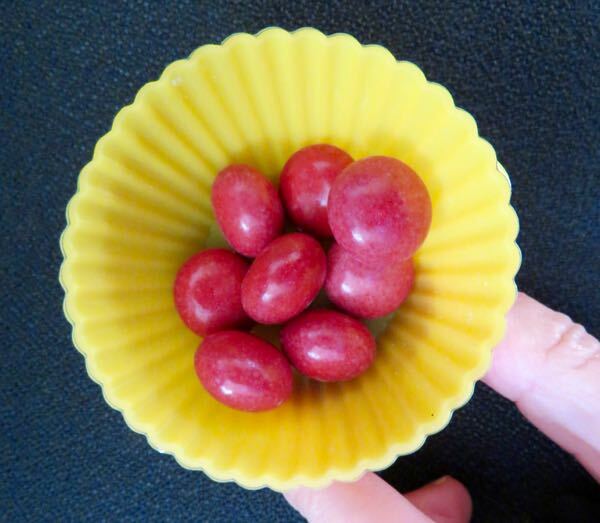 There is something decadent about eating cherries in winter. In early January, I found some (from the Southern hemisphere) in a Whole Foods Market. 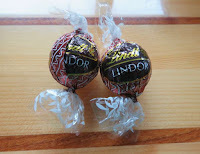 They were very pricey, and very delicious. 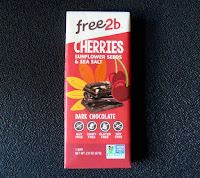 Today, I was able to enjoy some of the same tart sweet cherry flavor with this Cherries, Sunflower Seeds and Sea Salt bar from free2b Foods (Boulder, CO). 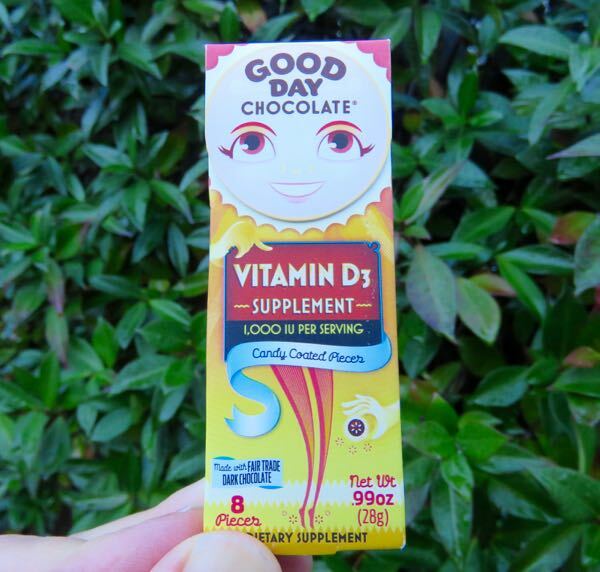 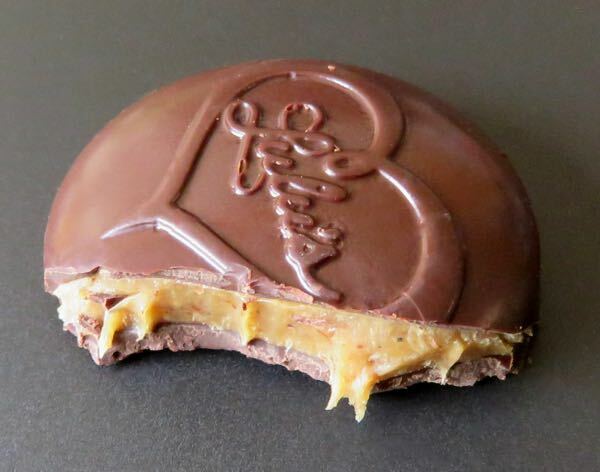 The company is perhaps best known for its allergen-free Sun Cups (chocolate cups filled with sunflower seed butter instead of peanut butter). 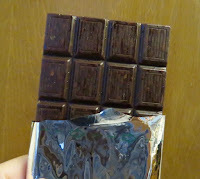 The dark chocolate that made up this bar was smooth and naturally cherry flavored. A generous sprinkling of roasted, whole sunflower seeds provided soft crunch to the texture. As with most flavored chocolate, eat while fresh for best flavor. 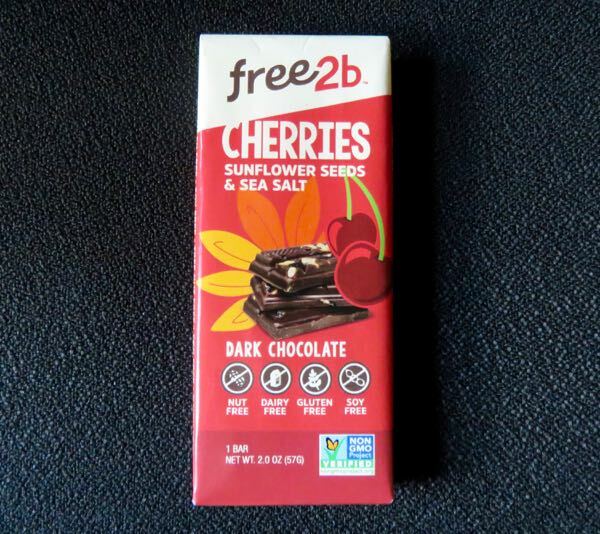 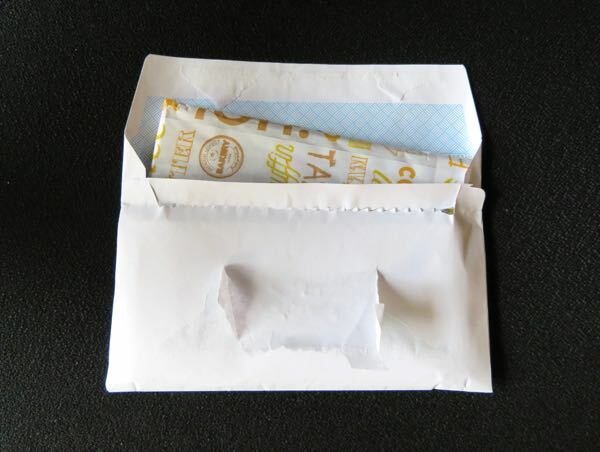 Made in a dedicated facility, this free2b bar was free from the top 12 allergens: peanuts, tree nuts, dairy, gluten, soy, egg, corn, coconut, sesame, mustard, fish and shellfish. 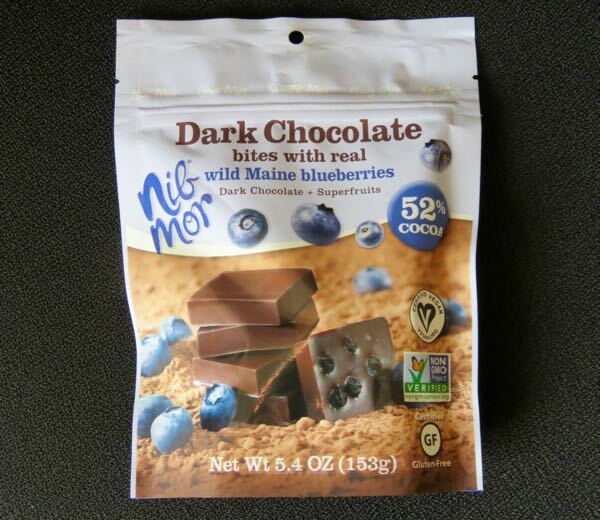 Great for those with food sensitivities. 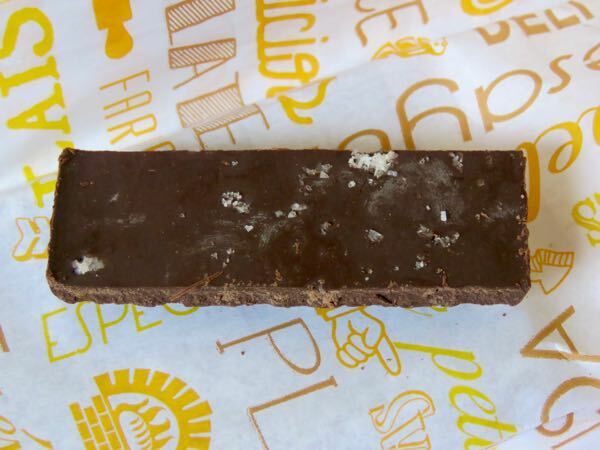 Postscript: A second chocolate item today: a cup of soy cherry chocolate chip ice cream from an ice creamery and bakery at Facebook campus headquarters in Menlo Park, CA. 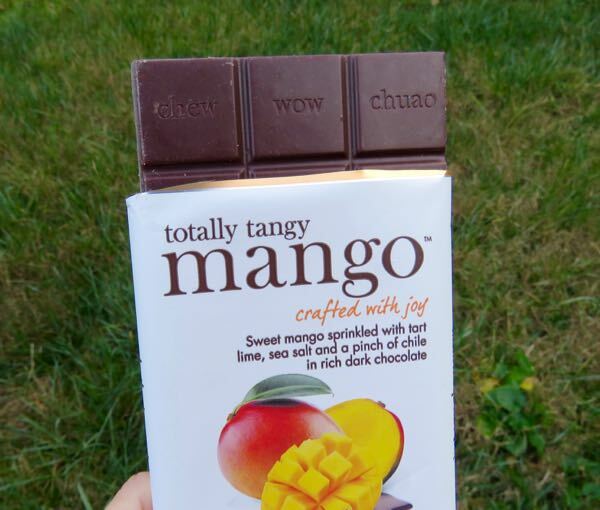 Welcome to Day #2 of Chocolate and Fruit Theme Week. 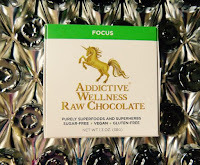 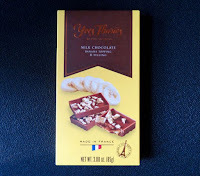 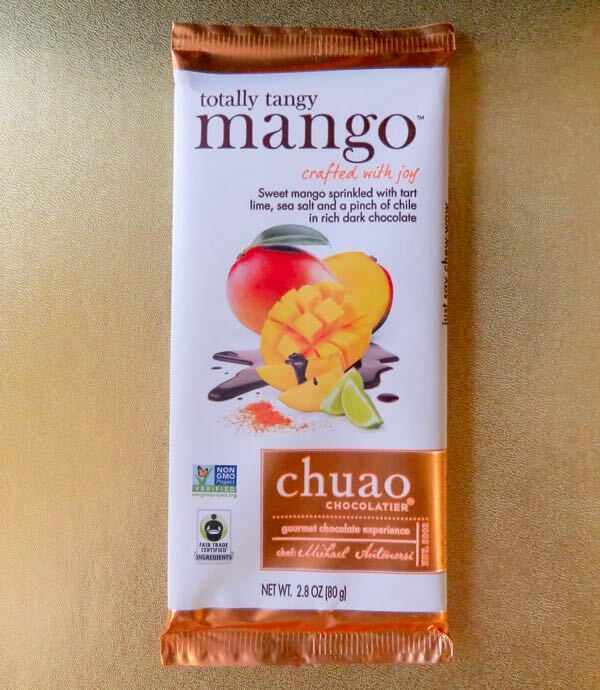 As the name implied it was full of natural tasting orange flavor (supplied by a blend of orange essence, orange zest, orange oil) that harmonized well with the smooth dark chocolate flavor and texture. 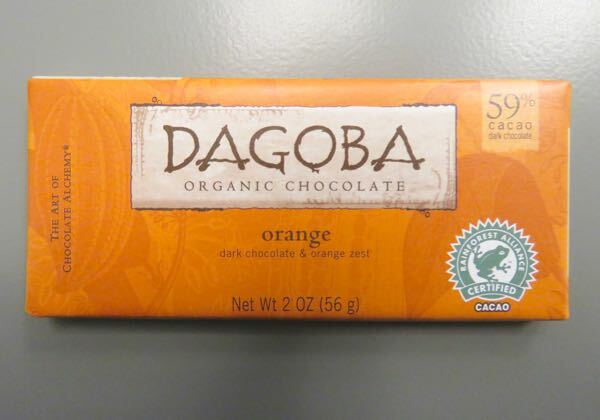 *Dagoba Chocolate was founded in 2001 by Frederick Schilling, and has been owned by The Hershey Company since 2006. Welcome to Day #8 of Chocolate and Surprise Theme Week. 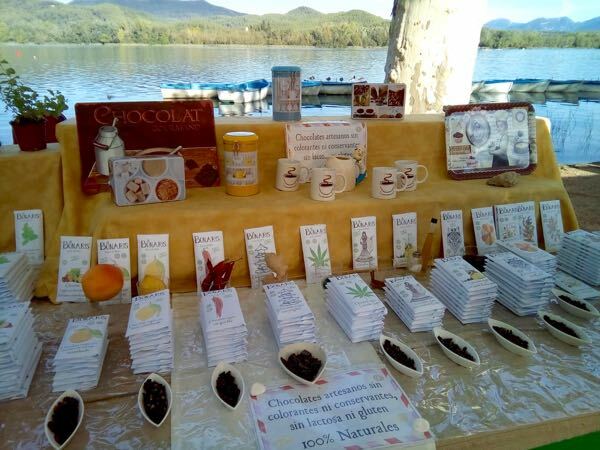 You might be surprised to read that chocolate and vegetable combinations are quite edible. 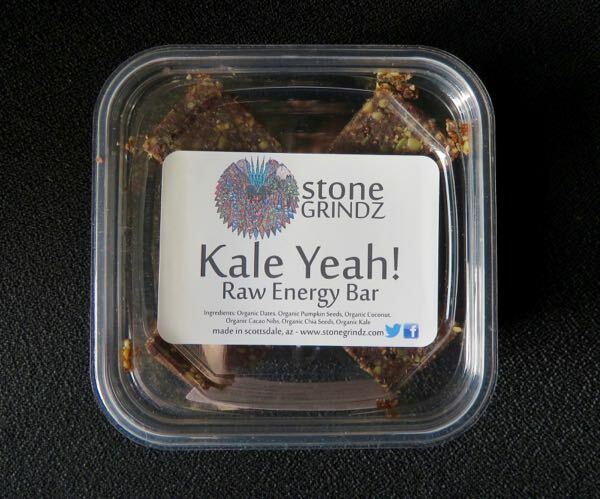 Today's Kale Yeah! 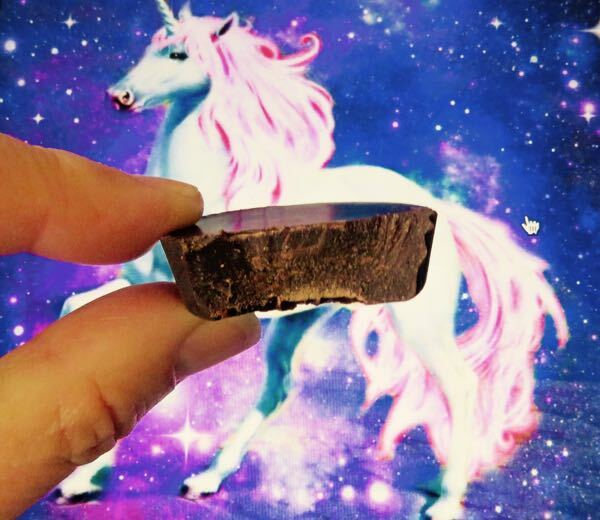 Raw Energy Bar was made by Stone Grindz Chocolate (Scottsdale, AZ). 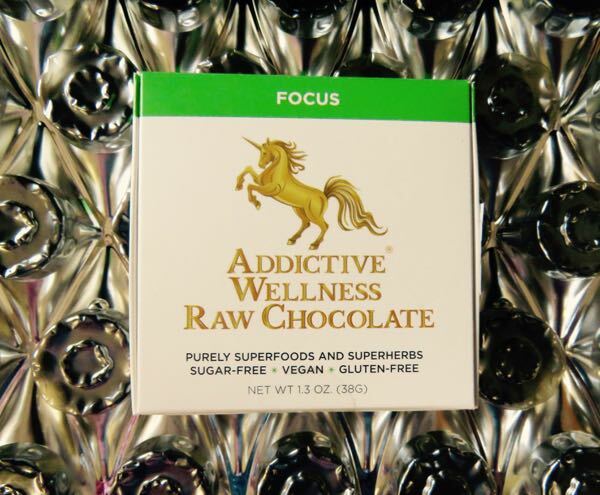 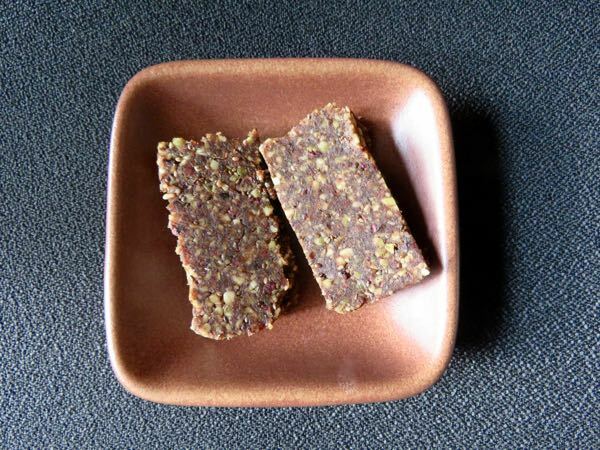 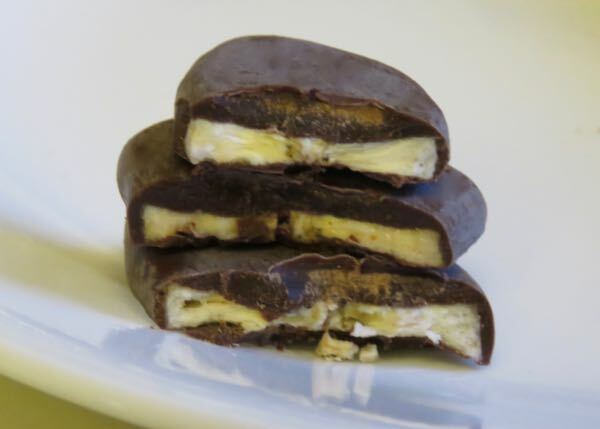 Their raw energy bars are quite different than most chocolate-coated candy or energy bars. 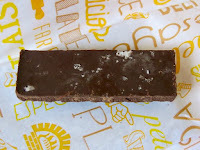 First, Stone Grindz raw energy bars (available via a Secret Store pull down option on the company's website) taste fresher and less processed than most bars. Second they have no added sugar and salt (none, thank you!). 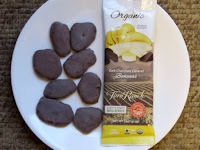 These organic bars are blended so that they taste and feel well balanced. 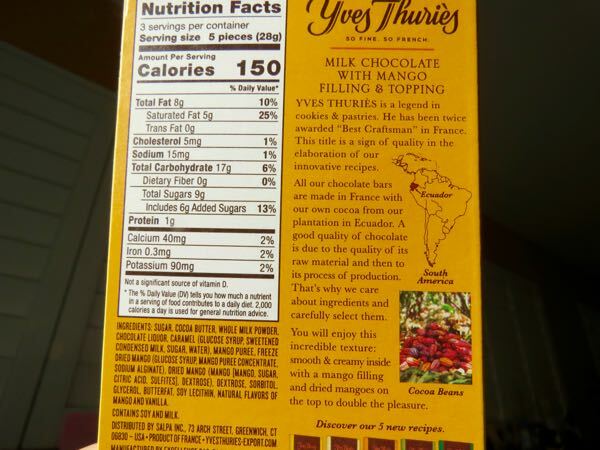 The ingredients harmonize nicely; no one flavor dominates. 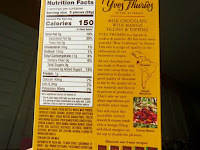 While dates are the first ingredient listed, they're not overwhelming. 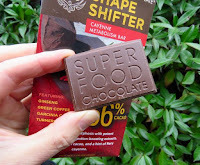 The kale (which I venture to wager you could not identify in a blind taste test) and pumpkin seeds help balance out the date sweetness. 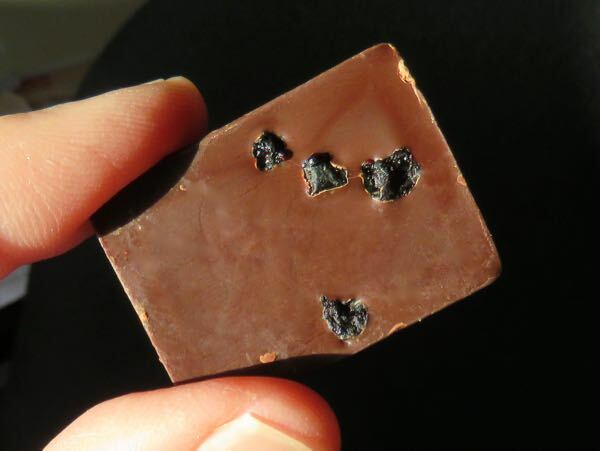 Cacao nibs add flavor depth, but are not the primary attraction. 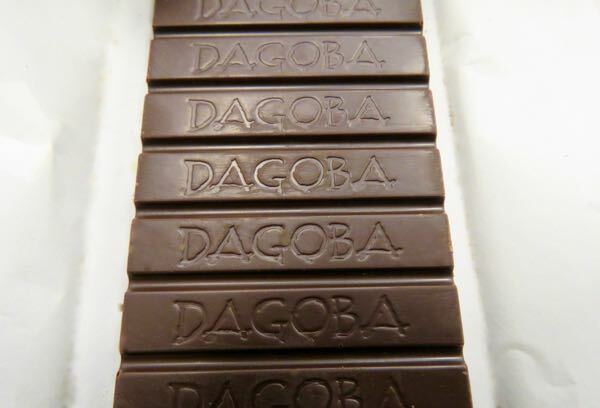 The bars have a soft chew and uniform flavor and tasting experience. You might find a stray chia seed in your mouth following the tasting experience, but the seeds were not too intrusive. Welcome to Day #7 of Chocolate and Surprise Theme Week. 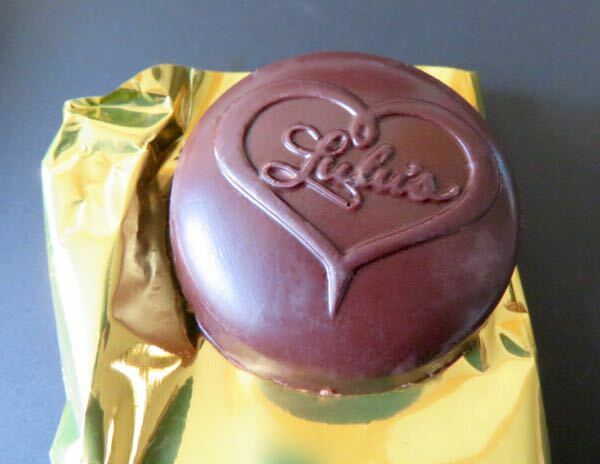 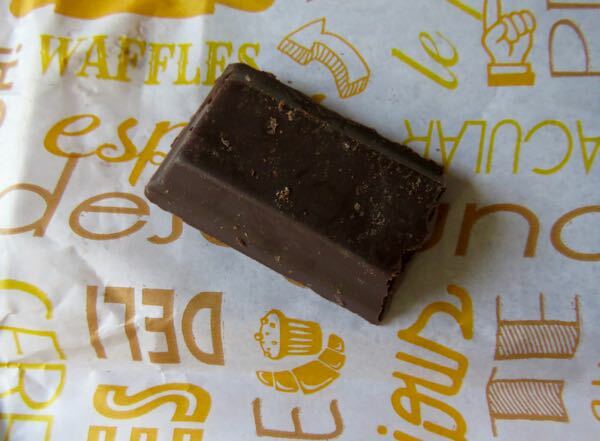 Sometimes surprise gifts just happen to be chocolate, like today's first chocolate item. 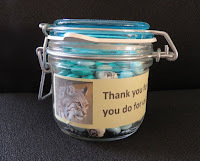 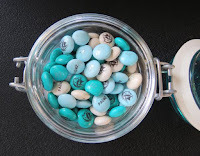 This glass jar of specially customized M and M chocolate candies had blue and white candy shells, with images of a raccoon and the organization name printed on them. 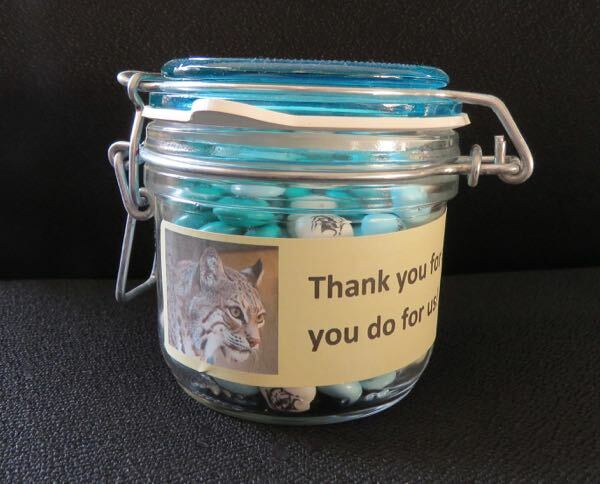 They were gifts to volunteers at the Palo Alto Junior Museum and Zoo. The un-customized/traditional version of Mars dark chocolate M and M chocolate candies appeared years ago on Chocolate Banquet. 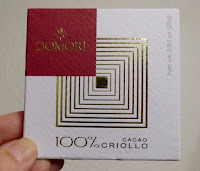 So the hunt was on for a second chocolate item. 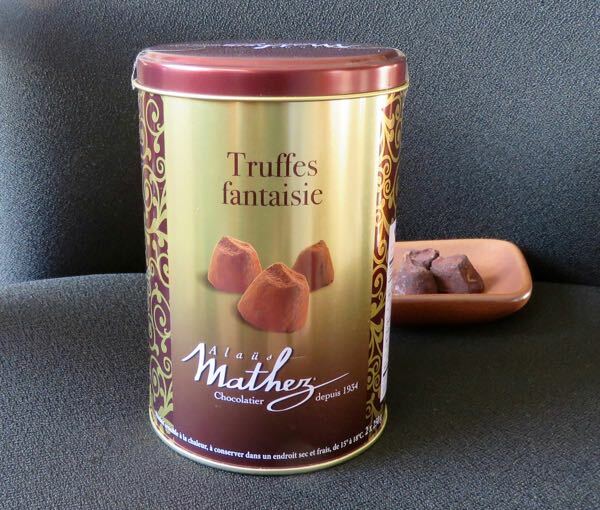 Fortunately, a large canister of truffles that had been hiding in the chocolate vault was discovered, making today a surprise chocolate double header. 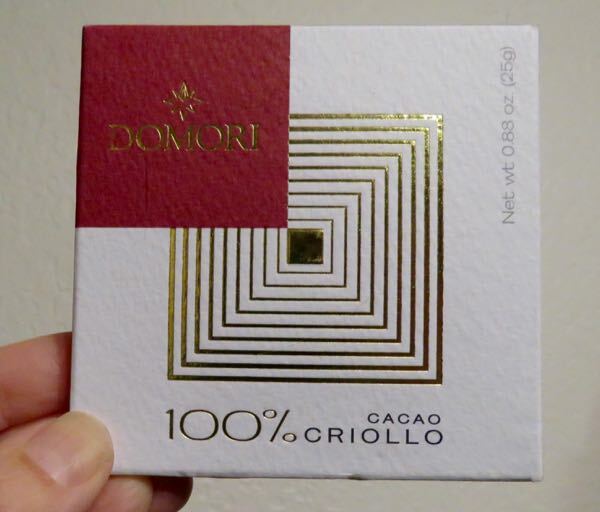 These Cacao Powdered Truffles (made in France) were closer to traditional truffles than most filled chocolate confections marketed as truffles. 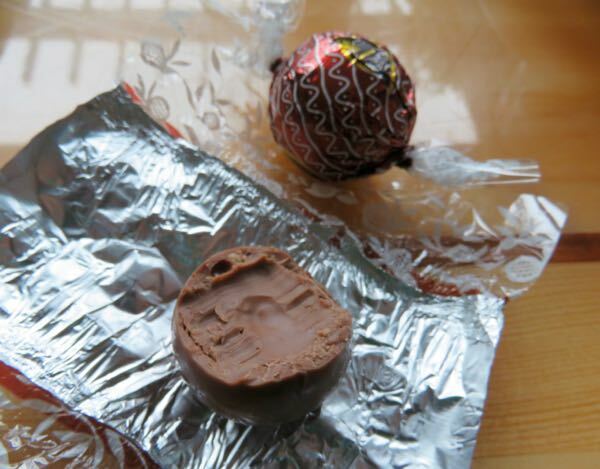 Summer sun is great for beach weather, but it can ruin chocolate. And these truffles had survived some record heat before being purchased and stored in the vault. 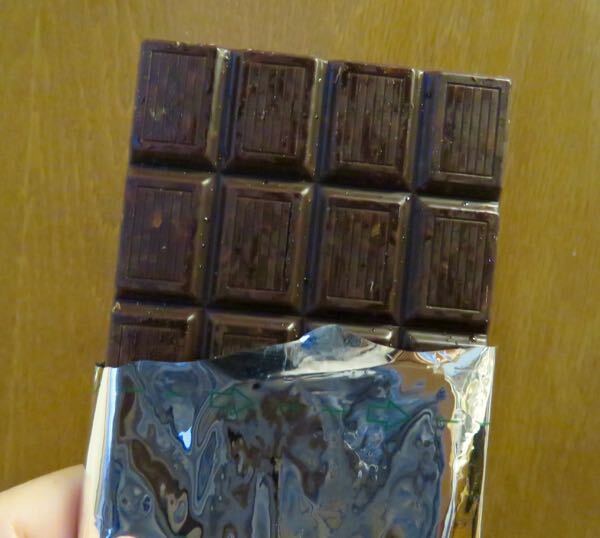 The light dusting of cocoa powder had darkened a bit. 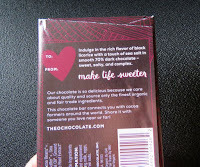 But, the flavor and texture were surprisingly rich, smooth, satisfying and authentic, i.e. 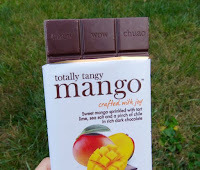 relatively unaffected by the heat. 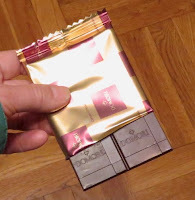 Welcome to Day #5 of Chocolate and Surprise Theme Week. Today's Organic and Fair Trade Salted Black Licorice 70% Dark Chocolate bar was from Theo Chocolate (Seattle, WA). 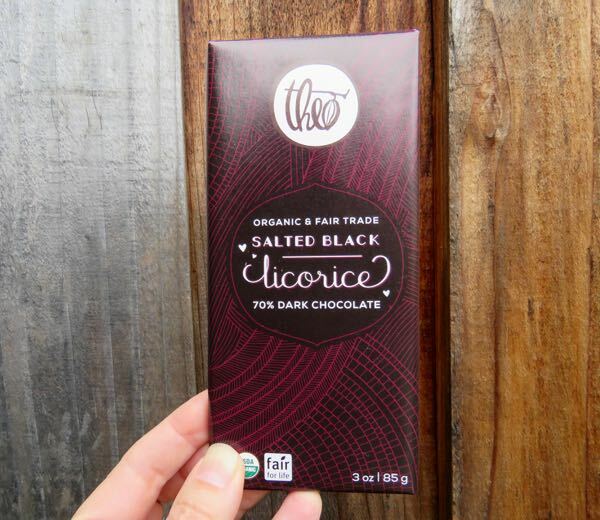 Warning: if you like licorice, you may find this bar—flavored with star anise essential oil and licorice root extract—mildly addicting. 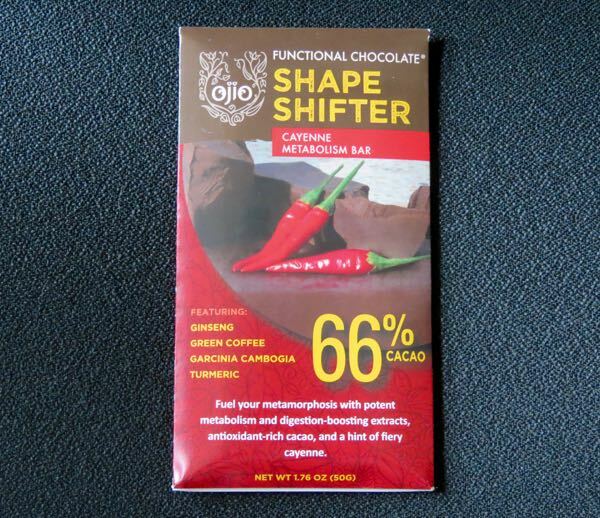 Once again, the origin story for this chocolate is multi-faceted. 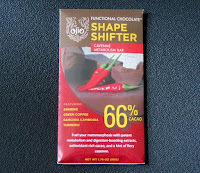 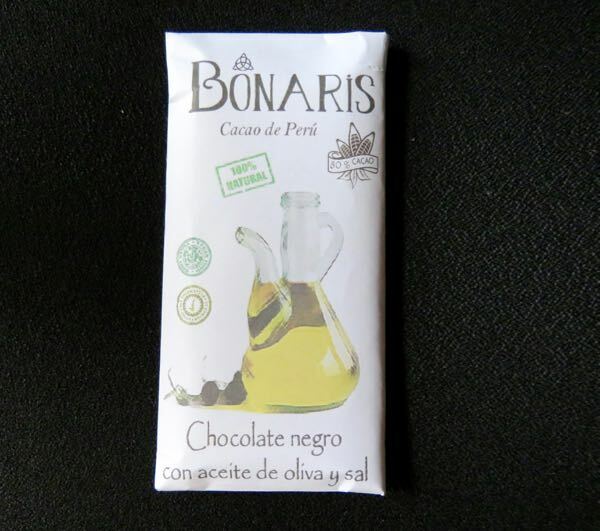 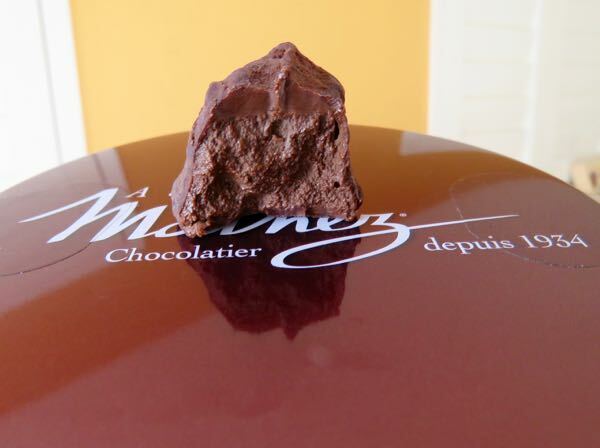 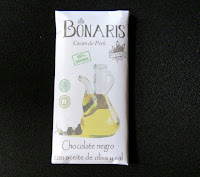 The dark chocolate 70% cacao base was made with cacao sourced in the Democratic Republic of Congo (DRC) and Peru. 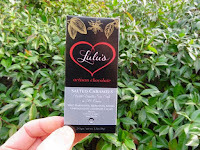 The touch of vanilla was sourced in Indonesia; and the licorice root was sourced in the USA**. 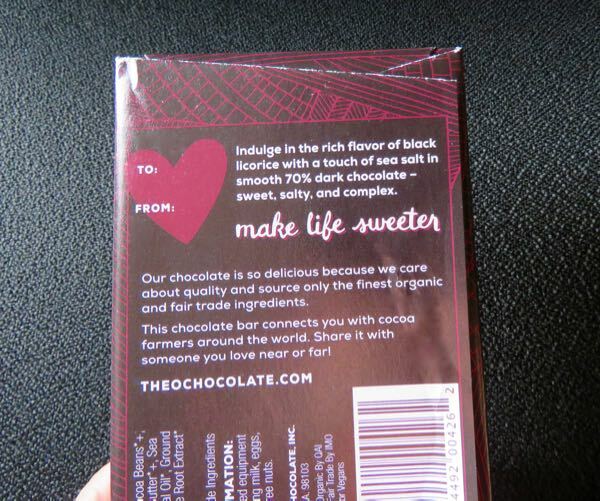 Tasting note on the packaging read: "sweet, salty and complex." 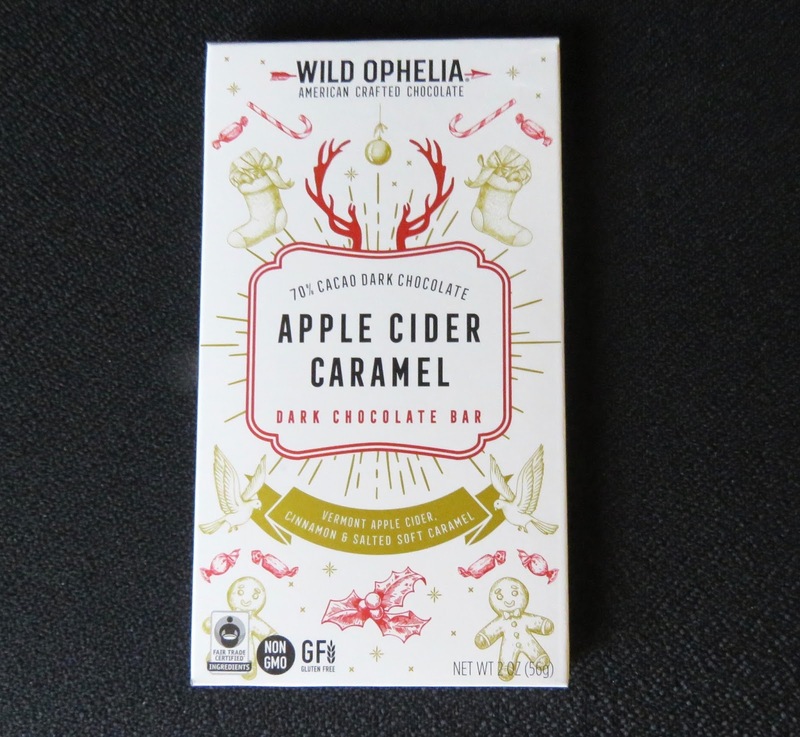 This was a well balanced bar with an aroma and initial flavor of licorice. 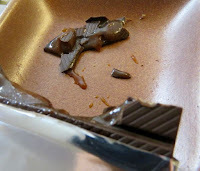 After the first bite, the dark chocolate flavors gently blossomed into prominence; and the touch of salt was just right. 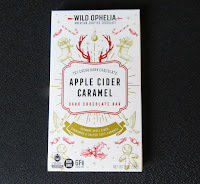 This bar was Organic, Fair for Life, Soy Free, Kosher, Vegan and Gluten Free. 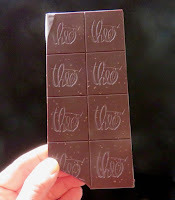 *Askinosie Chocolate and Patric Chocolate (bean-to-bar makers located in Missouri) have both produced bars with licorice in the past. 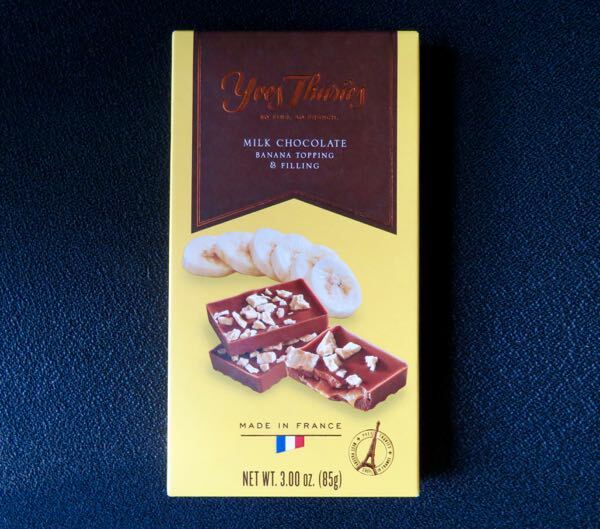 Today we're featuring two milk chocolate and caramel items—both acquired during the December holiday season. 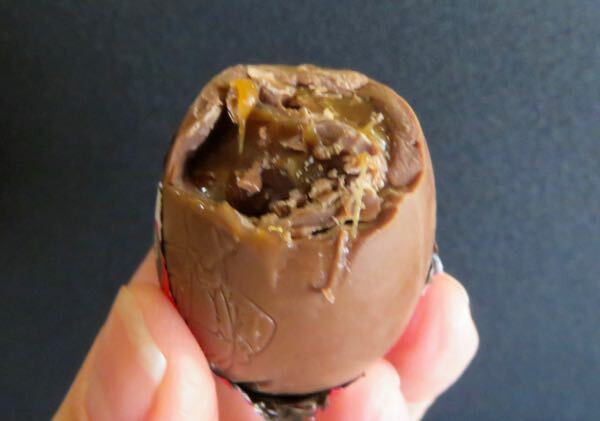 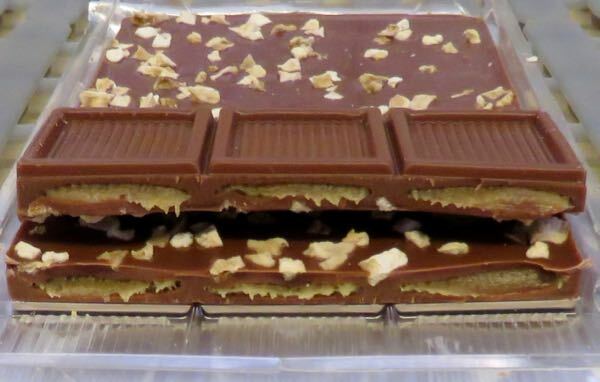 The first item was a DeMet's egg-shaped chocolate and caramel "turtle," complete with milk chocolate, caramel and nuts (pecans and possibly hazelnuts). 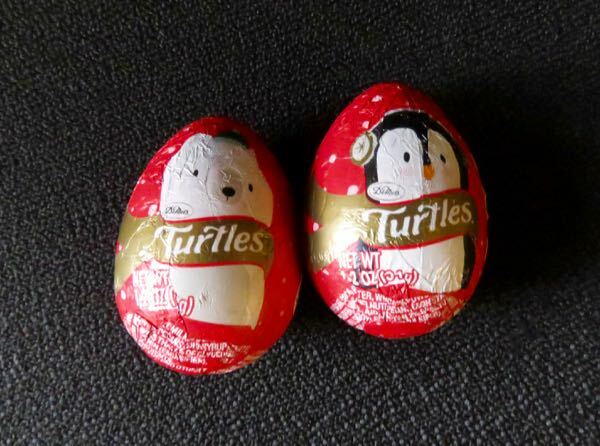 These holiday eggs were wrapped with red and white festive holiday foil wrappings with images of polar bears and penguins. 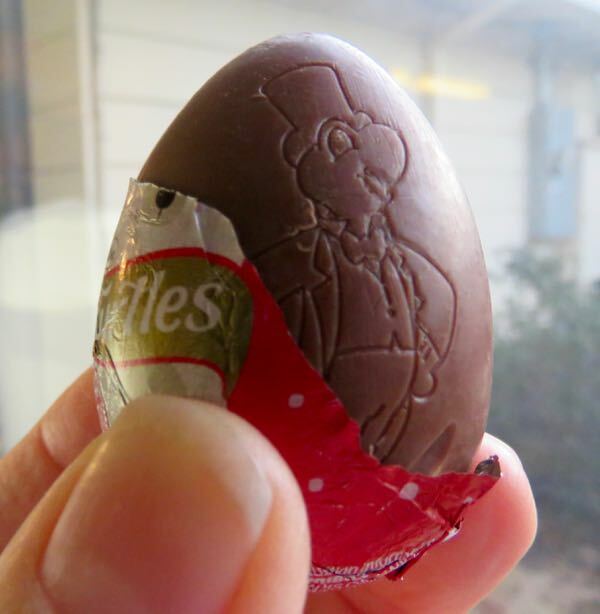 However, if you looked carefully before biting into the egg, it was possible to spot the likeness of the iconic DeMet's turtle character imprinted on the chocolate. 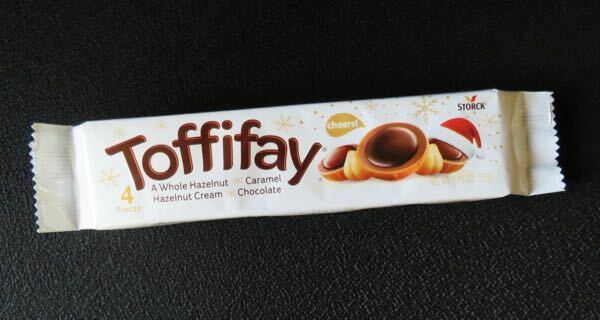 The second item: Toffifay, a chocolate, caramel and hazelnut cream, semi-spherical, sweet confection from August Storck AG (Germany). The sweet caramel outer cup had a soft chew texture, and the chocolate center was slightly more firm. 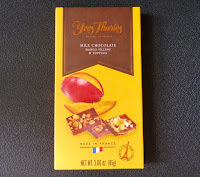 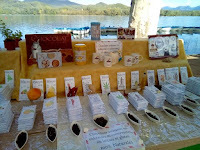 *The original chocolate, caramel and nut turtles resembled turtles; often pecans or nut pieces protruded (from the chocolate oblong body or "shell"), resembling a turtle's head and legs. 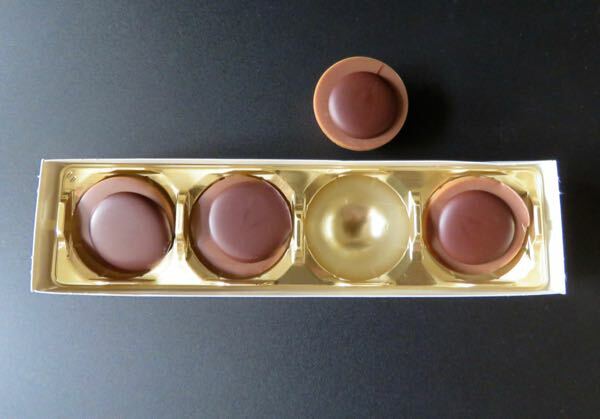 Welcome to Day #10 of Chocolate and Caramel Theme Week. 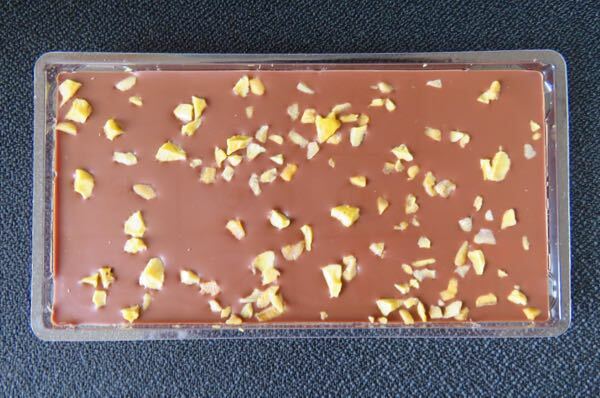 Today's Dark Chocolate Sea Salt and Caramel bar was a good example of the international supply chain that exists with many chocolate bars. 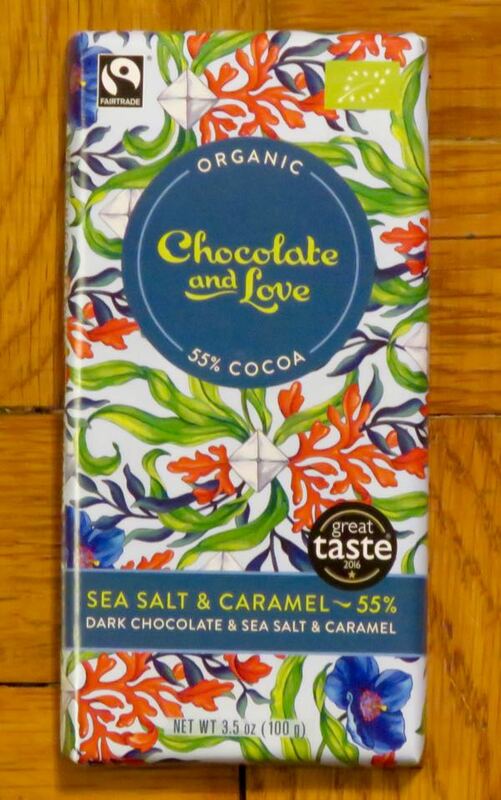 This 55% Cacao, Organic Sea Salt and Caramel bar was made in Switzerland for Chocolate and Love Ltd. (Perth, UK) and imported by Belgium's Chocolate Source (Milton, MA). 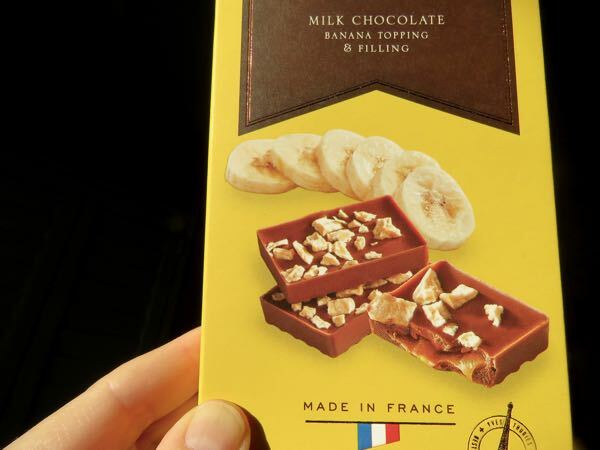 And it was purchased and eaten in California. 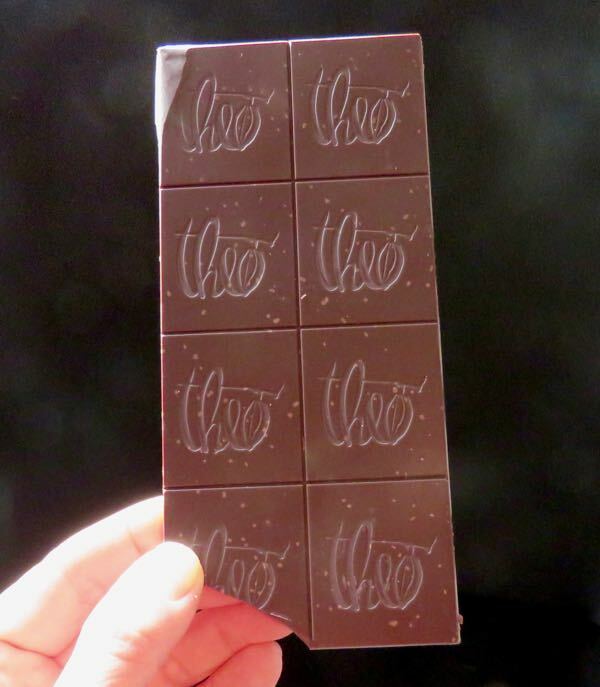 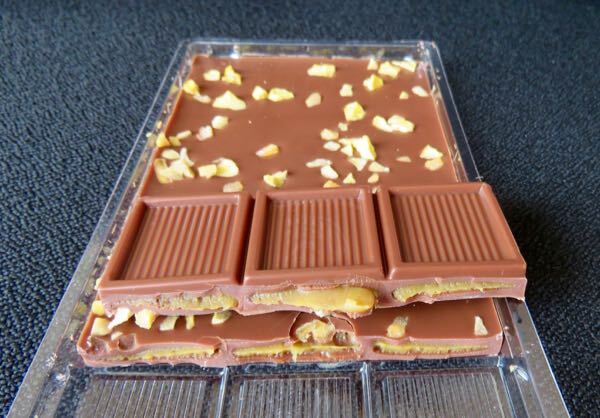 The bar was riddled with tiny caramel pieces (10%) (cane sugar, whole milk powder, butter, glucose* syrup) and sea salt crystals, making it rich and slightly crunchy. *Not sure if this was gluten free.